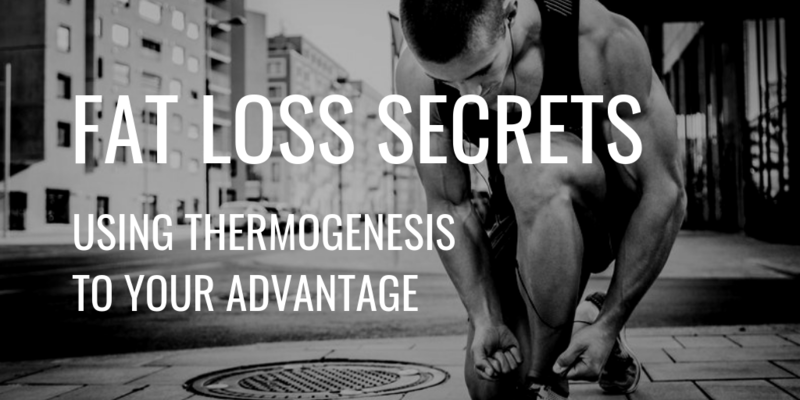 Thermogenesis and weight loss are hot topics right now, but how does it all work? Can this element of the metabolism really affect fat-burning capabilities? And can you use it to your advantage in pursuit of lean body mass and fat loss goals? In this article, we break down the science so you know exactly how it works and what you can do to increase its effects. EAT (exercise-associated thermogenesis) – heat production caused by intentional muscle movement for sports and exercise activities. NEAT (non-exercise activity thermogenesis) – energy expended for non-sporting activities like cooking, typing, or standing. DIT (diet-induced thermogenesis) – also known as the ‘thermic effect of food’, this refers to the calories expended in the digestion, absorption, and storage of food. Thermogenesis can be influenced by diet and exercise, as well as the temperature of the external environment. It responds to the needs of the body so that you can adapt to changing activity and food levels, along with colder or warmer weather. How Does It Influence Weight Loss? Your diet can influence thermogenesis in several ways. Some macronutrients (such as protein) take more energy to absorb and digest than others, which means your body expends more calories by simply eating them. Some foods also contain naturally ‘thermogenic substances’ which increase heat loss from the body. These substances include capsaicin (found in chili peppers), Grains of Paradise (a spice), caffeine, and catechins (from green tea). Consuming a diet that includes these compounds can help to increase weight loss in combination with a healthy lifestyle. In fact, research shows that consuming thermogenic substances can increase metabolic activity by 4-5% and boost fat-burning by 10-16%. As you exercise, calories are burned by muscle cells to enable the fibers to contract. The energy from these calories is mainly used for movement but a lot of it is also lost as heat. This is why you get hot and start sweating during a workout. As you increase your level of exercise intensity, a greater amount of energy dissipates in the form of heat. So, whilst you’re burning more calories through physical activity, you’re also burning more calories through heat loss. This further supports the fat loss process and increases the speed at which you see results. Your body is pretty awesome at responding to environmental changes. When the temperature fluctuates, receptors send signals to the brain which then responds accordingly. If there’s a drop in temperature, then it stimulates muscle movement in the form of shivering. This produces heat which warms up your body but doesn’t burn enough calories to result in significant weight loss. There are steps you can take to increase thermogenesis and use it to your advantage. Increasing your intake of thermogenic compounds like Grains of Paradise extract, caffeine, green tea, and chilis can all help. Scientific research studies have shown that consuming a combination of these ingredients (also known as blends) can deliver even more impressive effects. One study found that taking a blend of these supplements resulted in an additional 1kg (2lbs) of body fat being lost. Grains of Paradise extract is an especially effective thermogenic compound, which is why we use it in our Pyroxamine® formula. It’s a spice related to ginger that produces a distinct sensation of heat and provides one of the thermogenic elements in our supplement that increases metabolism. It has also been known to improve digestive and intestinal health. Pyroxamine was designed with Grains of Paradise extract to promote an increase in your energy expenditure, boost your metabolic rate, and burn down adipose fat tissue. Increasing your physical activity levels can also increase thermogenesis on a temporary basis. Exercising at a higher intensity can produce a greater amount of heat loss, as can working-out for a longer duration. 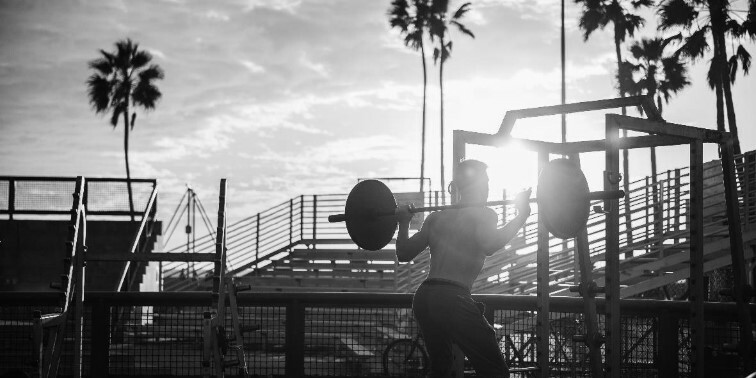 Combining thermogenic compounds with an increase in physical activity is likely to have the greatest impact on fat loss. This approach can counteract the body’s natural inclination to slow the metabolism when being fed a calorie-controlled diet. Thermogenesis utilizes calories to produce heat which can help to create a negative energy balance and lead to weight loss. It’s part of a complex metabolic system that’s designed to ensure your body can adapt to changing environments. Increasing your physical activity and consuming thermogenic substances can help you to increase heat production in the body. This can support other fat loss efforts to ensure you get the best possible results from your hard work. Pyroxamine® is a ground-breaking, comprehensive, thermogenic fat burner that has been carefully crafted with years of research and development behind it. This powerful fat-burning matrix uses scientifically validated ingredients to provide powerful weight loss results. Pyroxamine™ features scientifically calculated doses of pharmaceutical grade ingredients designed to help you lose weight by suppressing appetite, increasing energy, elevating mood and mental focus while increasing your metabolic rate, allowing you to burn more fat faster. Learn more about Pyroxamine here.